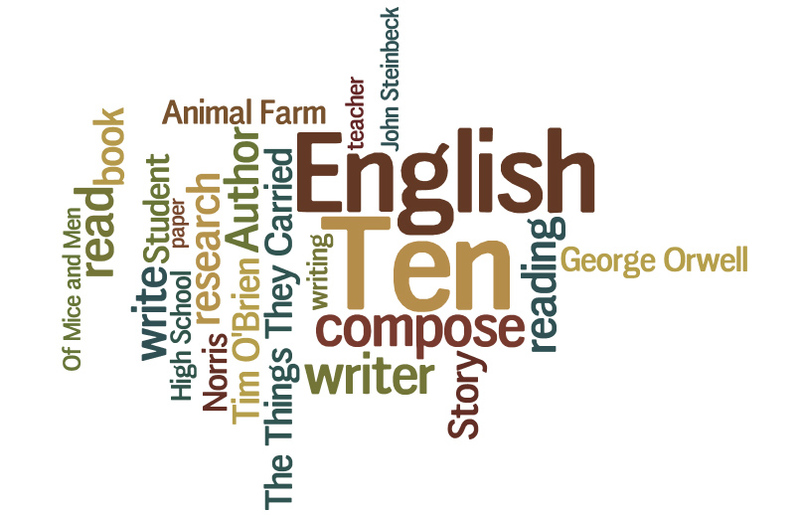 English 10 can be taken as either pre-AP or not. The academic focus will be on preparing students for the remainder of high school, college or the working force. A strong emphasis is placed on critical thinking, and students will be required to think critically in each of the core components of the course: reading, writing, grammar, and vocabulary. The reading portion will involve learning strategies for improving reading of fiction and informational text, as well as familiarizing students with contemporary and classical literature, recreational reading, and library usage. The writing portion will focus on the writing process by engaging students in the phases of the writing and experimenting with the various types and modes of writing. Grammar will build upon prior knowledge of the parts of speech and how to use the rules of grammar in their own writing. Vocabulary will incorporate knowing and using literary terms throughout the year to insure storage in long-term memory, as well as 150 vocabulary words geared toward post-secondary test taking the junior year. For more information about course progression for juniors and seniors, see this Course Descriptions Presentation.